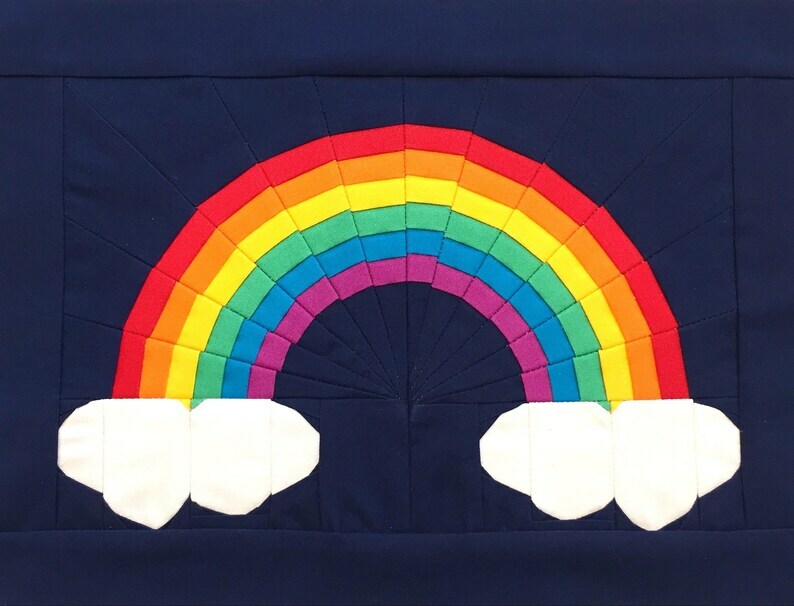 With my "Over the Rainbow" block, you can create rainbows whenever your heart desires. And the best part? This block is customizable! Make half of a rainbow or a full rainbow. One cloud, two clouds, a full length set of clouds or no clouds at all. It's all up to you! This intermediate pattern includes templates and assembly instructions to make a 10" x 6 3/4" block. An assembly diagram may also be used as a coloring sheet to plan your rainbow in advance. Tutorial of how to foundation paper piece is not included.